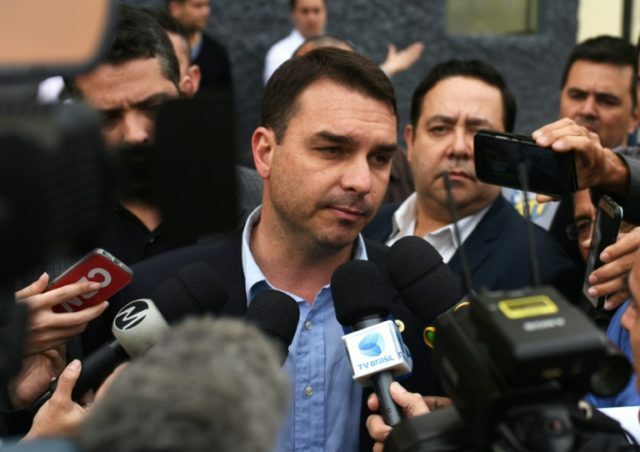 The son of Brazilian presidential frontrunner Jair Bolsonaro gave an interview with the newspaper O Globo on Monday where he discussed the possibility of expanding nationwide gun rights in a similar way to the United States. Flávio Bolsonaro, who is a state representative for his father’s Social Liberal Party and adviser for his father’s campaign, said he supported the repeal of Brazil’s Disarmament Statute that prohibits people from owning firearms. Flávio added that he and his father nearly always share the same political opinions and therefore would never disagree on policy. Since announcing his run for president, the 63-year-old has styled himself as the law and order candidate who will restore civility in a country that has seen crime rates soar over the past decade. He has promised to combat endemic leftist corruption and focused on his clean political record. Bolsonaro, a military veteran, has also courted controversy with remarks appearing to support the longstanding 20th-century Brazilian military dictatorship and dismissing the human rights violations of Chilean military leader Augusto Pinochet. He has also outraged many in Brazil by adopting what he refers to as “Christian values” in opposition of socially liberal and sexually individualist ideas. Last month, a socialist opponent of his policies stabbed Bolsonaro at a campaign event, nearly costing him his life and taking him off of the campaign trail for nearing a month. Some Brazilian outlets used the assassination attempt as an opportunity to criticize Bolsonaro for speaking openly of individual rights, particularly gun rights and freedom of speech. According to polling data released on Monday, Bolsonaro now has a ten-point lead over leftist Workers’ Party candidate Fernando Haddad, while the outcome of a second round run-off would be too close to call.